An authentic travel destination that has a lot to offer. Discover Italy in all its beautiful facets! Sicily, with its rich history and beautiful beaches on the blue Mediterranean Sea, is a popular holiday destination. Here you can live the Italian life. The island has charming Italian towns and villages, beautiful beaches, Italian cuisine, lively markets and special sights. In order to see and experience it all, a rental car is a necessity. Or don’t stay in one place and make a tour! Sicily has no shortage of charming villages. The southeast of the island is known as the Baroque Triangle, because of its baroque town centres. Take a tour by car and visit places such as Modica, Ragusa, Enna and Noto. Everyone knows Sicily for Mount Etna. This active volcano is the main landmark on the east coast of the island. You can make beautiful walks along the flanks of the volcano or, if you are very sporty, you can hike to the top where you will find four volcanic craters. Palermo is the capital of Sicily. The city is a fascinating mix of influences from the Mediterranean and the Middle East. You will discover great architecture, charming squares, colourful markets and rich culinary traditions. If you set out to discover Palermo, take a look at the city from above. 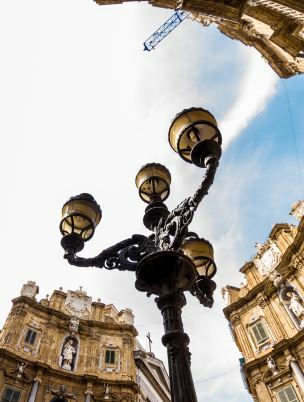 Many buildings, such as Palermo Cathedral, can be climbed. After the capital Palermo, Catania is the largest city in Sicily. Catania has been influenced by various civilizations, which can still be seen in various buildings of antiquity. An eruption of Mount Etna (only 35 kilometres from Catania) and a hefty earthquake are the reasons why the historical city centre of Catania is built in baroque style. 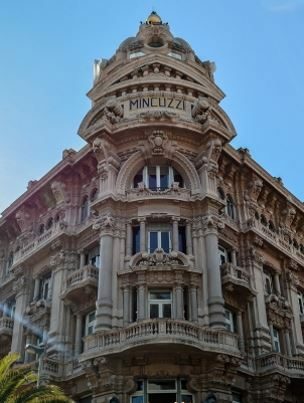 Catania is also known as the Milan of Sicily for its mercantile spirit. Shopping in Catania is something special: expensive shopping streets such as Corso Italia are interspersed with particularly cheap shopping streets such as Via Pacini. Trapani is a lesser-known travel destination, but is certainly worthwhile. It’s located on the west coast of Sicily, which may be lesser-known than the east coast, but is more authentic. Trapani is the capital of the province of the same name. It’s a port city, which gives it a lively and charming atmosphere. An ever greater number of tourists discover Trapani. 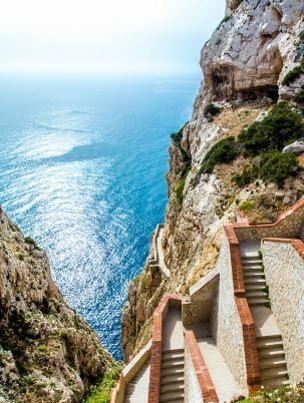 The ‘must-sees’ of Sicily are the Capella Palatina, the small city of Syracuse, the Vendicari Nature Reserve, the Valley of the Temples, and the Scala dei Turchi. This ‘Stair of the Turks’ is formed by a bright white limestone cliff. If you love authentic Italy, you will love Sicily! Going on holiday to Sicily? Check options and availability, and book your holiday to beautiful Sicily now.